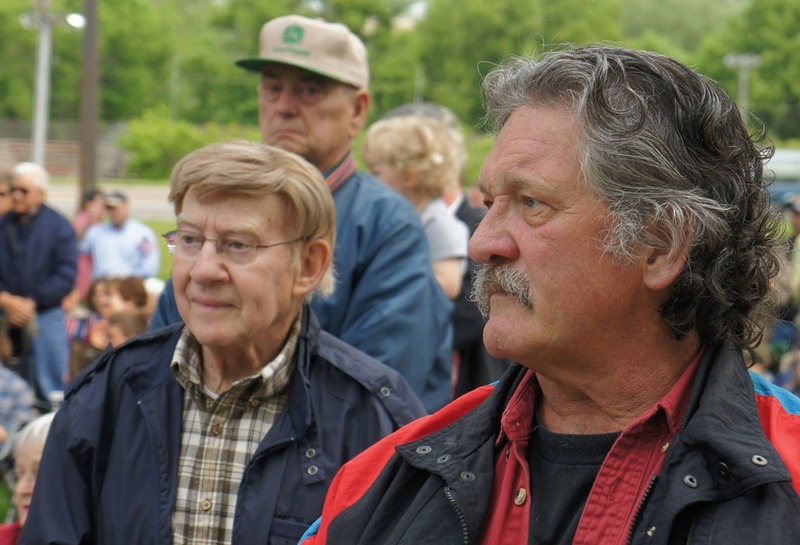 Among the speakers on Monday for the Memorial Day ceremony at the Northfield Area Veterans Memorial: VFW Post 4393 member Ken Grism, Bethel Lutheran Pastor Timothy McDermott, Retired Army Major John Fleming, Rice County Commissioner Galen Malecha, Northfield American Legion Commander Ray Ozman, and VFW Post 4393 Commander Bill Murphy. 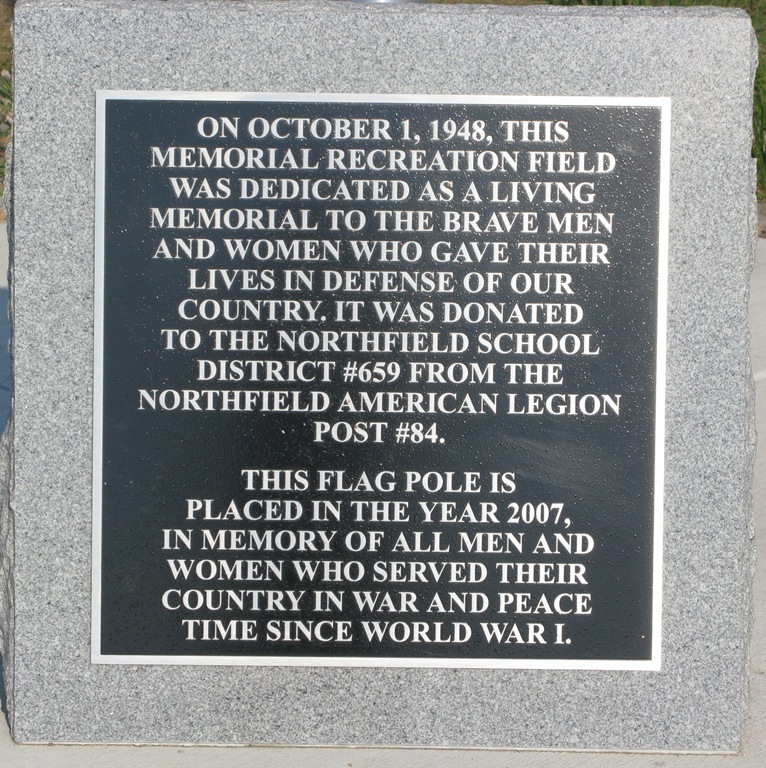 This blog was not yet in operation when the Northfield Area Veterans Memorial Dedication was dedicated on Nov. 11, 2005. Northfield area charitable gambling organizations: What percentage of their proceeds is going to community needs? Which Northfield area organizations are giving a high/decent/respectable percentage of their charitable gambling proceeds to community needs and spending less on their operations? This year marks the 25th anniversary of state-regulated charitable gambling in Minnesota, the charitable gambling capital of the nation. Gambling employs more than 12,000 Minnesotans, funnels money to hundreds of charities, and provides entertainment at nearly 3,000 bars, fraternal halls and restaurants in every corner of the state. But donations to charities have plunged to their lowest levels since 1986. 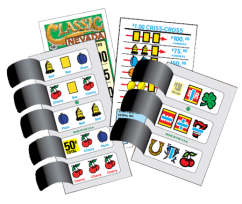 About $32 million, or 3 percent of gross gambling revenues, went to charities in fiscal year 2010, according to a Gambling Control Board analysis this month. That means hundreds of Minnesota groups, such as Boy Scouts, softball teams and food shelves, are receiving smaller or no donations from gambling proceeds. Hundreds of VFWs, American Legions and other groups have come to rely on their charitable gambling revenues to keep their doors open. … list of the more than 1,200 organizations that operate charitable gambling in Minnesota, which has been a $1 billion per year industry. They range from VFWs to fire department associations to youth athletic clubs. To sort by city or another column, click on the arrows inside each column head. The column titled "Other Lawful Purpose" refers primarily to property taxes and some building repairs that American Legions, VFWs and other fraternal groups can pay for using gambling profits. The figures were released this month by the Minnesota Gambling Control Board and cover fiscal year 2010, which is July 1, 2009 to June 30, 2010. This is not data for the 2010 calendar year. So let’s crowdsource the analysis of this data. Which Northfield area organizations are doing well, i.e., giving a high/decent/respectable percentage of their charitable gambling proceeds to community needs and spending less on their operations? And which, if any, are doing poorly? Gorgeous weather and a large crowd blessed this morning’s Memorial Day ceremony at the Northfield Area Veterans Memorial in Riverside Park. 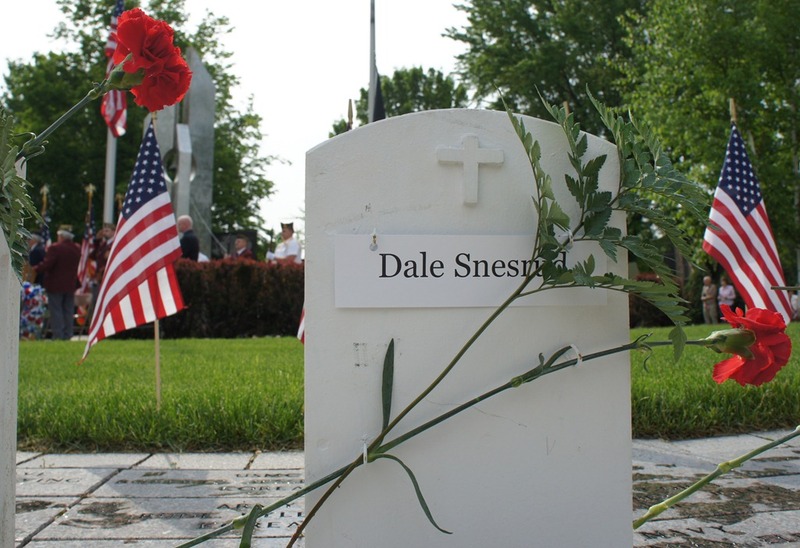 Rob Hardy has a summary of the Memorial Day proceedings in this Northfield.org blog post, including the names of area veterans who died in the past year. Northfield News Publisher Sam Gett has a 2-minute video clip of the ceremony posted; reporter David Henke has posted an album of 11 photos. 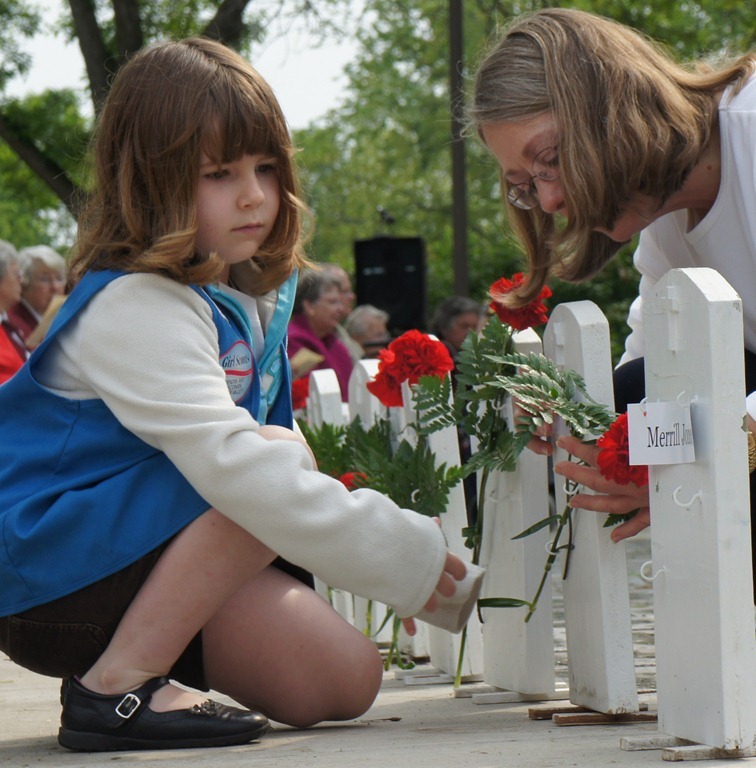 Gorgeous weather graced this morning’s Memorial Day ceremony at Northfield Area Veterans Memorial in Riverside Park. On October 1, 1948, this memorial recreation field was dedicated as a living memorial to the brave men and women who gave their lives in defense of our country. It was donated to the Northfield School District #659 from the Northfield American Legion Post #84. This flag pole is placed in the year 2007, in memory of all men and women who served their country in war and peace time since World War I. The park area, where the Northfield High School football field used to be, is now owned by the City of Northfield. 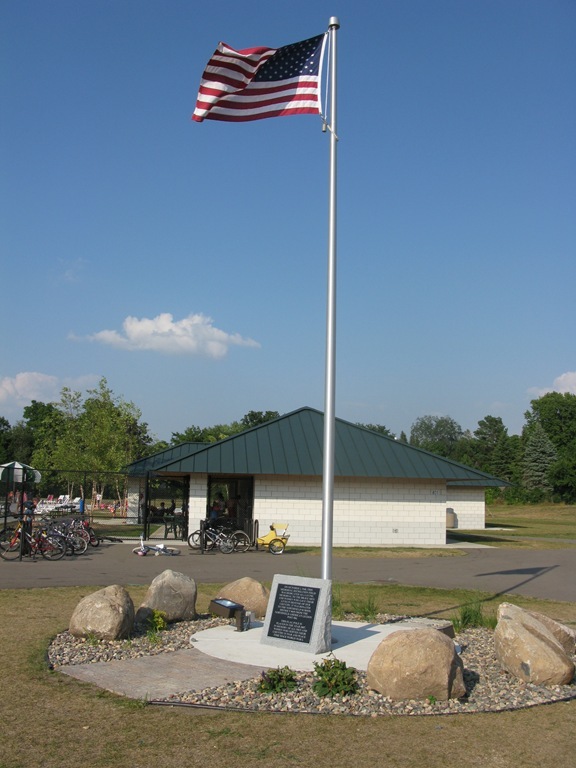 The Northfield Area Veterans Memorial is in Riverside Park. 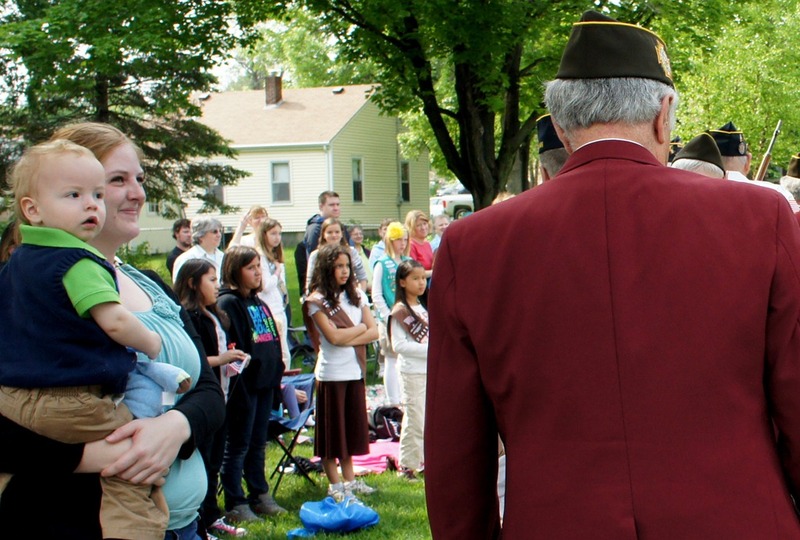 ‘Twas a good turnout this morning for the Memorial Day tribute at the Northfield Area Veterans Memorial. It’s not listed on the Northfield.org calendar or blog, nor on the Northfield Area Veterans website, nor on the Northfield Chamber of Commerce calendar, nor via a search of the Northfield News website, nor is there a poster or flyer of any kind on the windows of either the VFW Post on Division nor the Eagles / American Legion Club on Water. 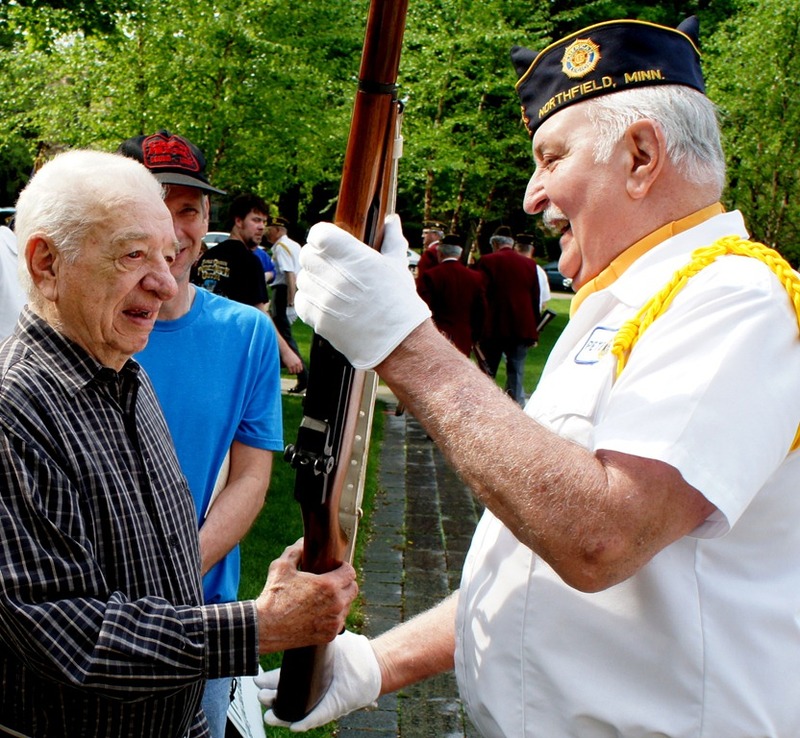 But today’s Memorial Day tribute is at 9 am in Veteran’s Memorial Park, at the south end of Riverside Park. 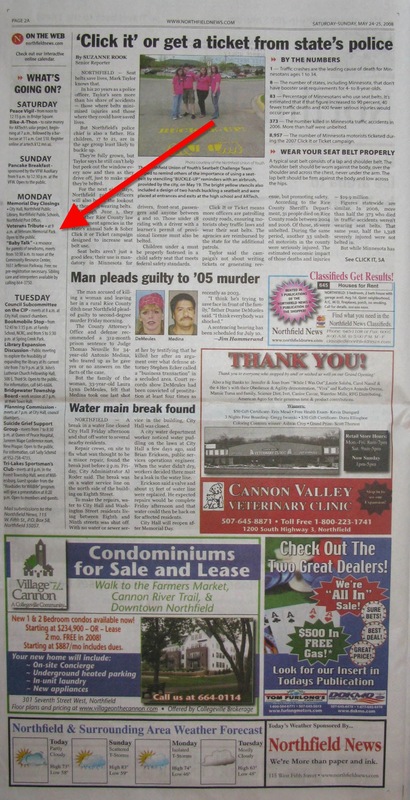 I eventually found the time on page 2 of the print edition Saturday’s Nfld News, in the calendar of events sidebar. It’s incorrectly listed as 8 am in the newspaper’s online calendar of events for May 26. Why is there no promotion of this event? 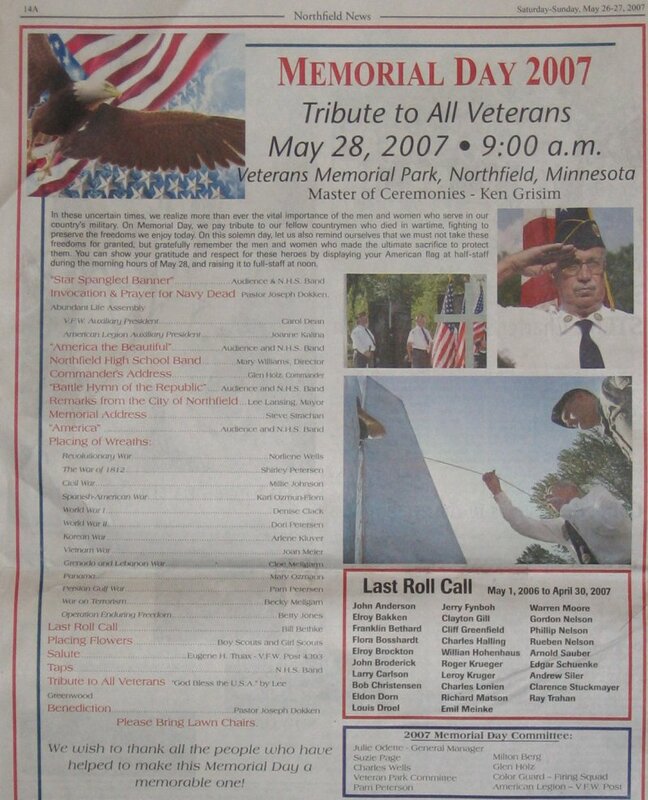 The Northfield VFW and the Northfield Legion took out this full page ad in this weekend’s edition of the Northfield News for tomorrow’s Memorial Day celebration at Veteran’s Memorial Park. I plan to be there taking photos tomorrow. I found their list of wars for the “placing of the wreaths” ceremony to be a bit odd. So are the VFW and Legion trying to communicate something with this wording strategy or is it a typo? 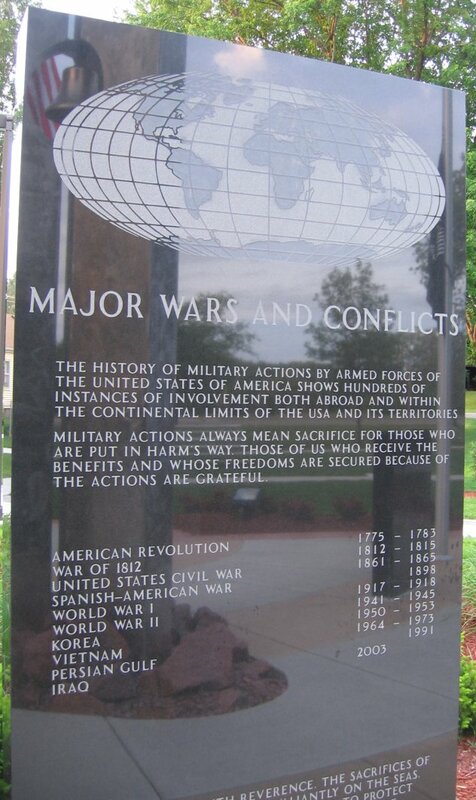 And why not use the commonly-used ‘Iraq War’ or the ‘War in Iraq’ or just ‘Iraq’ like it’s listed on the ‘Major Wars and Conflicts’ granite marker at the site (right photo)?